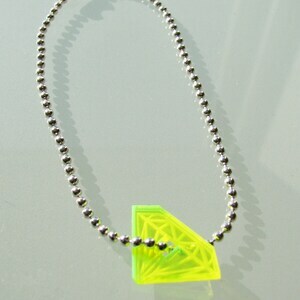 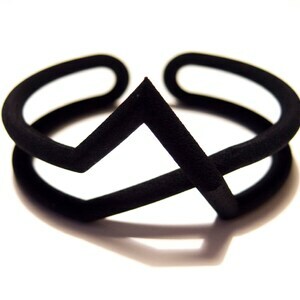 Geometric bracelet made up of two interlocking triangles. 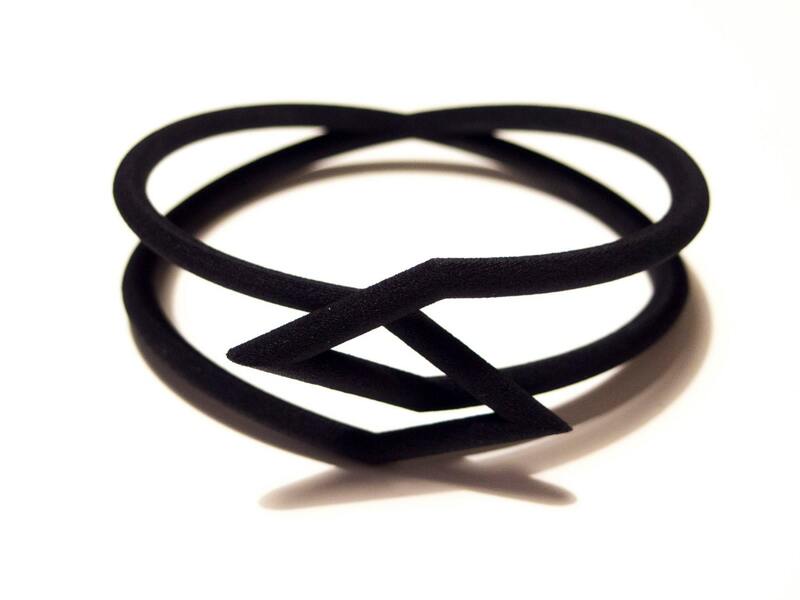 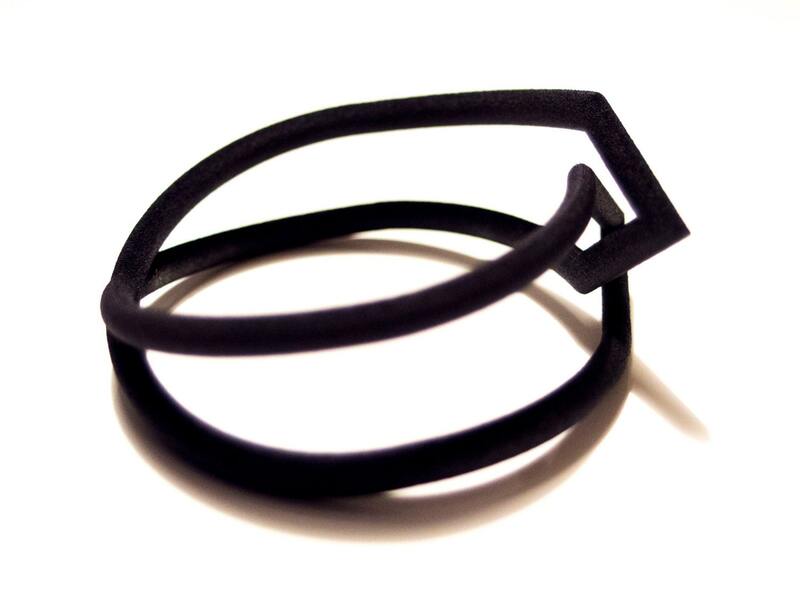 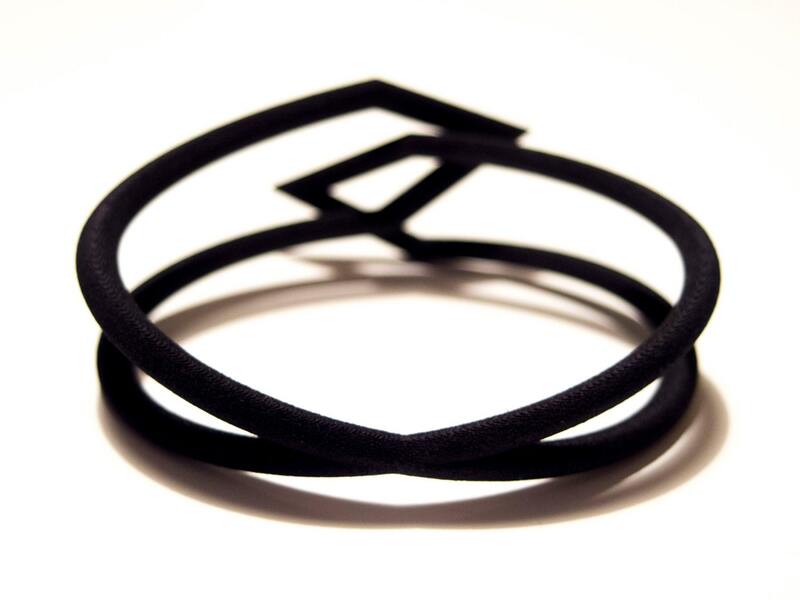 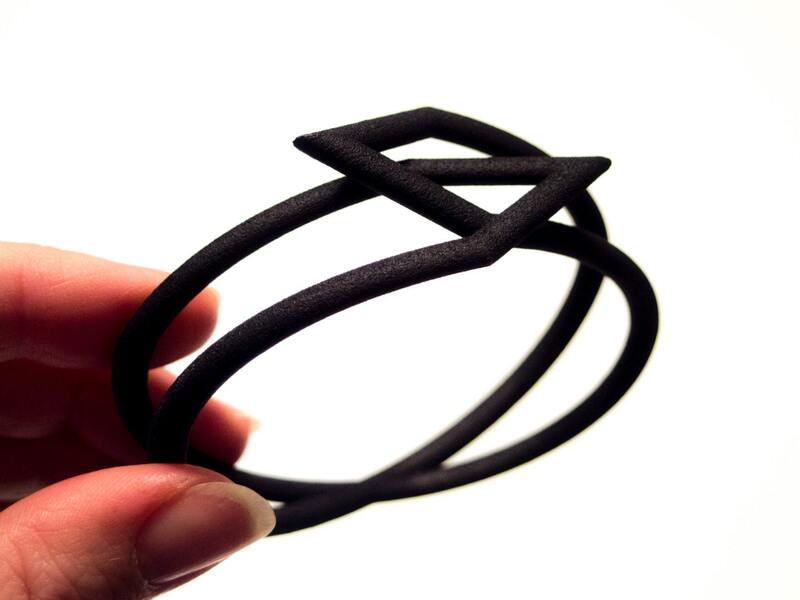 The bracelet is 3D printed in nylon, which gives it a matte finish and slight grainy feel. 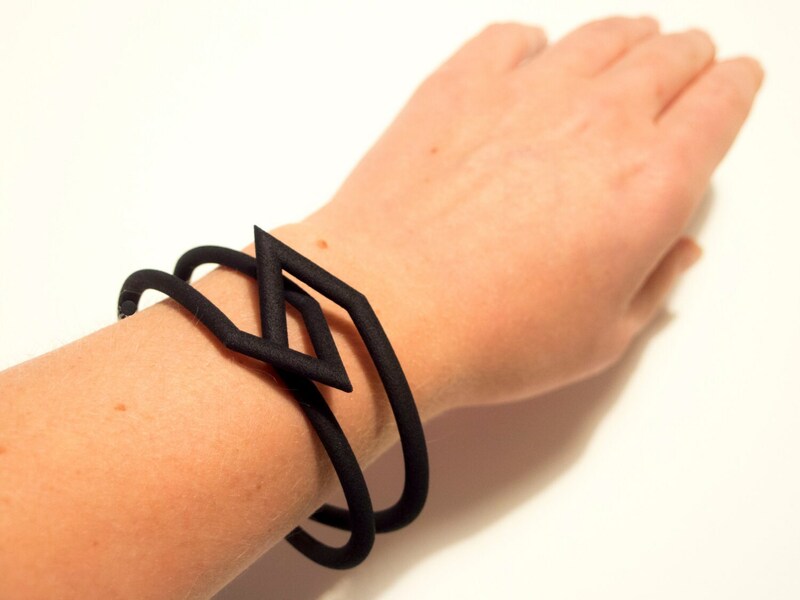 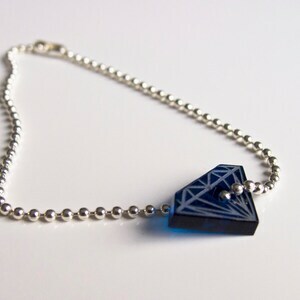 The triangles are not connected in the front, which makes the bracelet a bit flexible and enables you to slide it over your hand.